A transitional space that is open, inviting and great for entertaining. 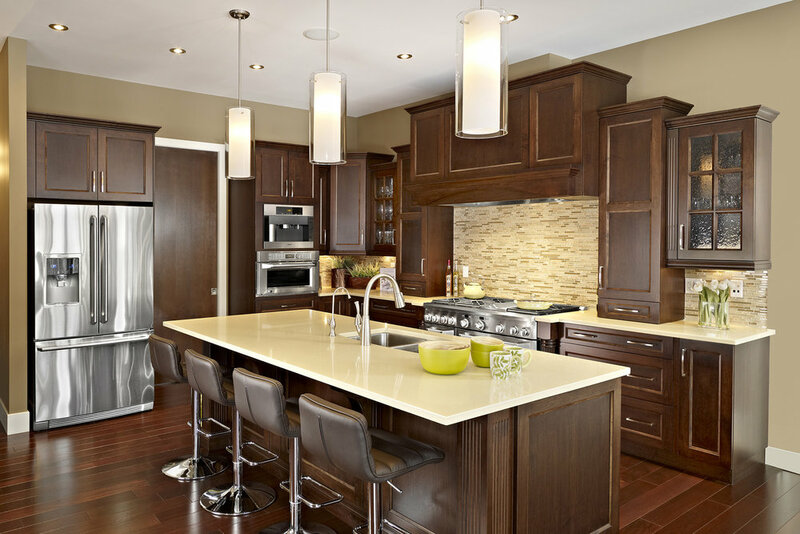 Truffle stained maple cabinetry engages quartz countertops and mosaic backsplash tile with transitional style. 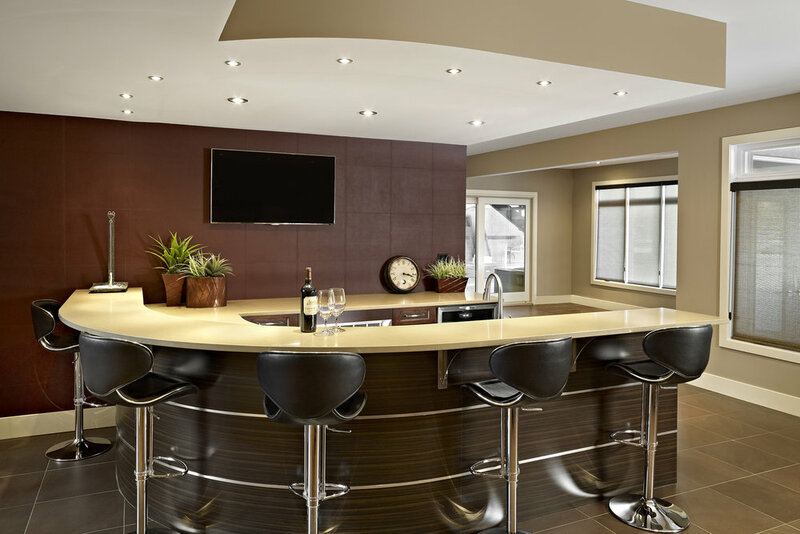 The island provides work and entertaining function that are illuminated with suspended light fixtures. Mullion glass doors and fluted details add hospitable warmth alongside the stylish hood. Varying the cabinet heights adds visual interest. Using corbels beside the stove, island paneling and substantial corner posts completes the overall design. His and hers vanity towers are great for additional storage and organization in the bathroom.